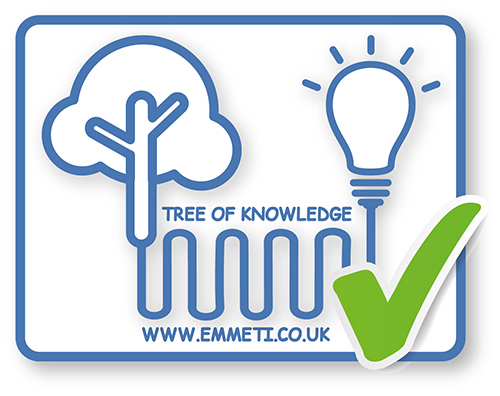 A range of Control Groups designed to provide both fixed and variable temperature solutions to suit Emmeti Under Floor Heating manifolds in 1” and 1¼” sizes. Each Control Group includes temperature management, a Wilo Yonos Para Class A circulating pump, built-in temperature gauge, mounting bracket and swivel joints for connection to the manifold assembly. In order to provide water at the right temperature for underfloor heating, a mixing valve is used to take heated water from a heat source and mix it with the return water from the underfloor system to the correct design temperature. Where the heat source can provide the right temperature by itself e.g. a low temperature boiler, then a T3 control set is not needed. Mixing water to the design temperature can be achieved either by using a thermostatic mixing valve to give a ‘fixed’ temperature or a motorised valve which can give either a ‘fixed’ or ‘variable’ temperature. The Emmeti range has two thermostatic and two motorised mixing valves in the range. Designed for the Underfloor heating market, the T3 Control Group incorporates a compact thermostatic mixing valve. 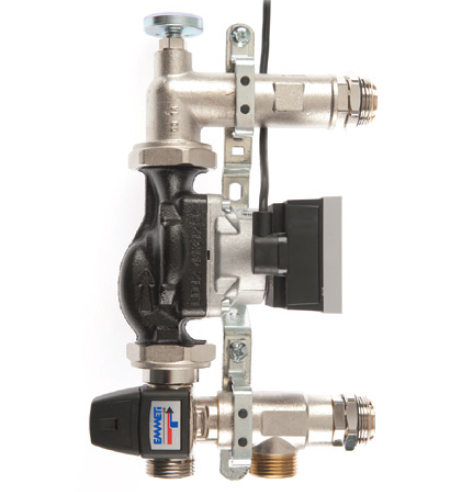 Compatible with Topway T2 manifolds at 210mm centres, includes 1” M manifold connections with O-ring seals and 1”M connections for the primary flow and return to the Control Group. The Group includes as standard a temperature gauge measuring the mixed flow temperature and a supporting bracket to support the weight of the pump. It includes a non-return valve to assist filling the system. Valve Kvs 3.4. Temperature range adjustment 35oC – 60oC. ErP compliant variable speed class A pump Wilo Yonos Para RS25/6 RKA. 2. Where an additional level of temperature control is required to ensure that a maximum floor temperature is not exceeded. This requires a suitable safety thermostat. 3. Single zone applications, when a minimum water temperature is required to switch the zone on. This also requires a suitable safety thermostat. 4. 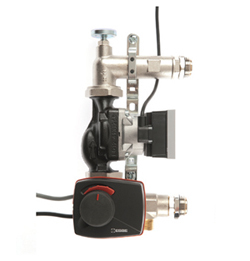 Single zone applications where the actuator auxiliary switch energises the boiler and primary pump in conjunction with an existing controls system for heating and hot water. The Group includes as standard a temperature gauge measuring the mixed flow temperature, and a supporting bracket to support the weight of the pump. It includes a non-return valve to assist filling the system. It has the same compact overall dimensions as the range. Electrothermic head NC 4-wire. Valve Kvs 3.4. Temperature range adjustment 35oC – 70oC. ErP compliant variable speed class A pump Wilo Yonos Para RS25/6 RKA. Designed for applications where both a higher flow and flexible control of water temperature is required. This allows the Control Group to be used with a range of temperature control options. To complete the product, specify one of three temperature management actuators which mount directly on the valve. The Group includes as standard a temperature gauge measuring the mixed flow temperature and a bracket to support the weight of the pump. It includes a non-return valve to assist filling the system. It has the same compact overall dimensions as the range. 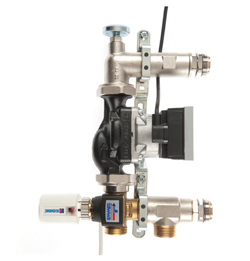 Valves Kvs 6.3, Actuator not included, see T3 UFH Control Group accessories. ErP compliant variable speed class A pump Wilo Yonos Para RS25/6 RKA. Designed for applications where both a higher flow and flexible control of water temperature is required. This allows the control set to be used with a range of temperature control options. Valves Kvs 13 – straight through flow, Kvs 8 – right angle flow. Actuator not included, see T3 UFH Control Group accessories. ErP compliant variable speed class A pump Wilo Yonos Para RS25/6 RKA. Can you install the T3 control set upside down? Yes:- the mounting bracket will need to be re-fixed so that it can be secured to the mounting surface and the pump rotated to the front. Can a T3 UFH Control Set be used with another branded manifold? Yes, if the centres and connections of the manifold are compatible. Can a T3 Control Set be fitted to a standard non inverted Topway Type 2 manifold?